Touch screens, so familiar now as the interface to smart phones and tablets, are increasingly showing up on the instrument panels of automobiles. This trend raises concerns that drivers will more frequently and for longer periods of time glance away from the road in order to complete even simple tasks, such as adjusting temperature settings or selecting a radio station. One potential way to mitigate this form of distraction is to provide haptic (tactile) feedback, enabling drivers to complete tasks more easily without looking at the screen. 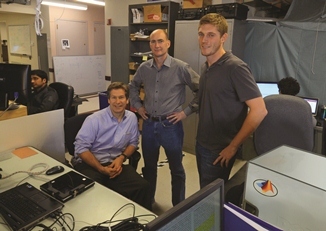 Professors J. Edward Colgate and Michael Peshkin have developed a number of novel technologies for providing haptic feedback on a touch screen. What interests them is altering the physics of the glass surface of a touch screen in order to create the perception by a user that his or her fingertips have engaged and can move a control element—a sliding bar or turnable knob. For instance, one version of the haptic touch screen—by modulating and localizing minute vibrations of the glass surface—creates the impression that a specific area of the smooth screen is “sticky” or produces more friction on the fingertip. The screen control technology, sensing where the finger is making contact with the glass, can then respond, track, and move the “sticky” zone to corres­pond to the fingertip movement. It is as if a user had reached over to a 3-dimensional sliding switch and moved it to adjust some device in the car—a music volume control or air conditioner fan speed, for instance. Three of the advantages in using a smooth glass surface screen over other kinds of touch devices, such as laminated plastic button panels, are: 1) the glass screen is less susceptible to wearing out or being damaged in the typical range of conditions in a vehicle interior; 2) the programming is what determines the placement and function of the buttons, sliders, or knobs—thus, engineers can reprogram the screen rather than design and manufacture new instrument control panels; and 3) the visual graphics under the glass and the tactile sensations on the glass surface move and respond together, providing more effective feedback than just visual or tactile signals alone. Colgate and Peshkin have partnered with Ford Motor Company in this recent CCITT funded study that takes advantage of Ford’s advanced driving simulator, the VIRTTEX, in Dearborn, Michigan. Working with Colgate and Peshkin, graduate student Joe Mullenbach built a device known as a TPaD and integrated it into a Ford Edge vehicle mockup within the driving simulator. Mullenbach then ran experiments with 25 volunteer drivers, testing those drivers on two types of tasks: a simple button acquisition, and a more complex level adjustment. Drivers consistently performed better with haptics, spending less time looking away from the road and completing the tasks just as easily as with vision alone. Moreover, drivers had an overall prefer­ence for the combination of visual and haptic cues. Mullenbach is now working with Colgate and Peshkin to develop an even more advanced haptic touchscreen that the team expects will further improve the technology. ICEM 2012 attracted 70-plus participants from 10 countries and over 40 institutions to Northwestern’s Evanston campus on August 12-15, 2012. One of the two Conference keynote addresses provided a valuable overview, including recent progress, in the emerging multi-disciplinary field of humanitarian logistics—work being led at NU by professors Karen Smilowitz and Irina Dolinskaya. In her opening remarks to the Conference attendees, presenter Smilowitz summarized the requirements, the engineering principles, and the opportunities evident to practitioners in this field. She noted that the devastation caused by the recent 2010 earthquake in Haiti was compounded by the significant logistical challenges of distributing relief supplies in an environ­ment where infrastructures of every kind were disrupted. Researchers and practi­tioners seek to develop and apply advances in information technologies, optimization techniques, networking power and the decision sciences to the significant problems that arise in disaster relief distribution operations. Smilowitz offered a historical perspective, surveying the last century in the development of analytical methods in parallel with areas of focus and application in industrial and military operations. Thus, time and motion studies, statistical analysis, optimiza­tion, computing, stochastic process study, simulations, and the study of complex networks have been applied successively to improve manufacturing, quality control, military operations, transportation systems, supply chains, and service operations. Yet progress in humanitarian logistics has lagged behind. relief agencies often have limited information about the region and limited technological support. 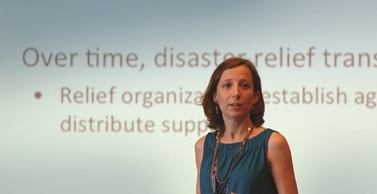 Smilowitz’s remarks touched on each of these special con­ditions and discussed the implications for modeling and simulating the relief network operations. Urgency, the need for fairness, the degree of uncertainty, the complexity of the mix of organiza­tions involved, and the lack of reliable information and technology—all these imply or create a different set of objectives than would typically drive the execution of a commercial plan. They call for disaster-defined functions, metrics, planning models, risk allocations, information management, and mapping technologies. Her presentation made note of the steadily increasing availability of data and technological support, and provided examples of current and relevant mapping tools. Smilowitz then provided news about ongoing research projects that take advantage of crowd-sourced data. (One such project has been done by Northwestern students advised by professors Dolinskaya and Smilowitz —see side bar at right.) Obtaining real-time infor­mation about disaster conditions through the capture of data from text messages, cell phone calls, and other technology-enabled communications has been shown to be a promising method for improving relief distribution models and search and rescue routing. Smilowitz concluded her remarks by suggesting the next steps for operations research in humanitarian logistics: developing metrics that balance equity, efficacy and cost; simulation models that better address the nature of the uncertainty in disaster settings; increases in the availability of real-time mapping information and communication technology; and—consistent with disaster conditions—the need for models that incorporate low-tech implementations and rule-of-thumb policies that mitigate the chaos and facilitate focused, informed, effective actions. As a part of the CCITT-funded research project: Integration of Real-Time Mapping Technology in Disaster Relief Distribution, a team of McCormick School of Engineering senior students demonstrated the benefits of incorporating new forms of information into disaster relief logistical operations, gaining recognition and an invitation to present their work at the INFORMS (Institute for Operations Research and the Management Sciences) Annual Meeting in 2012. When the 2010 Haiti earth- quake struck, first search and rescue responders struggled with blocked roads and scarce information. At the same time, volunteers around the world, including hundreds from the Haitian Diaspora, gathered and organized information on changing ground conditions. Some of this information came from relatively new sources—social media like Twitter, Facebook, blogs, and mobile phone calls. New sources and kinds of information brought new challenges. 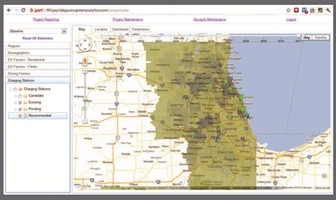 As a proof of concept, the student group created two models of post- disaster urban search and rescue (SAR) operations: one with real time data and one without. The group applied a routing algorithm to both sets of data and found substantial improvements from incorporating real time data. The real time model incorporated daily updates to this road network contributed by volunteers around the world. For the real time model, demand was predicted by filtering text messages sent to 4636 for actionable information on collapsed structures and trapped people. The non-real time model predicted demand using historical demand indicators such as building footprints. During the early decades of the Industrial Revolution, emerging manufacturers sought out fast-flowing rivers as a source of readily available energy to boost capability and productivity. In 2012—decades into the Information Revolution—companies now face a flood of an analogous kind: data. Like a river, data presents powerful opportunities and poses significant challenges for businesses. This data originates and flows from many sources: It can be mined from social media, obtained from customer surveys, input by operations and field representatives, collected from environmental sensors, and gleaned from geo­positioning devices. 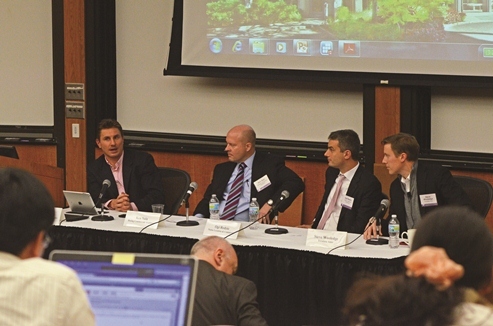 The Transportation Center’s October 30, 2012, Industry Workshop, held in conjunction with the Transportation Center’s Fall Business Advisory Council meeting, examined the nature of data-driven business in the course of two panel presentations. archived records • incident alerts, planned event announcements. How is Big Data characterized? prompting innovation to create better, targeted services and products, faster answers. How do you get started in Big Data? scale up as you begin to get encouraging results. Panelist Ken Sain, from BAC member Boeing, discussed “The Digital Airline”—how new methods of data collection, transmission, analysis, and distribution are set to improve aircraft design, engineering, and maintenance; and decrease down time and flight schedule disruptions. Panelist Steve Wooledge of Teradata Aster talked about two primary aspects of big data: 1) bringing order and purpose to all the data that is stored and all the data that is available through emerging technologies; 2) extending the usefulness of the data—enabling new business discovery and innovation. He offered two case studies that illustrated his message. 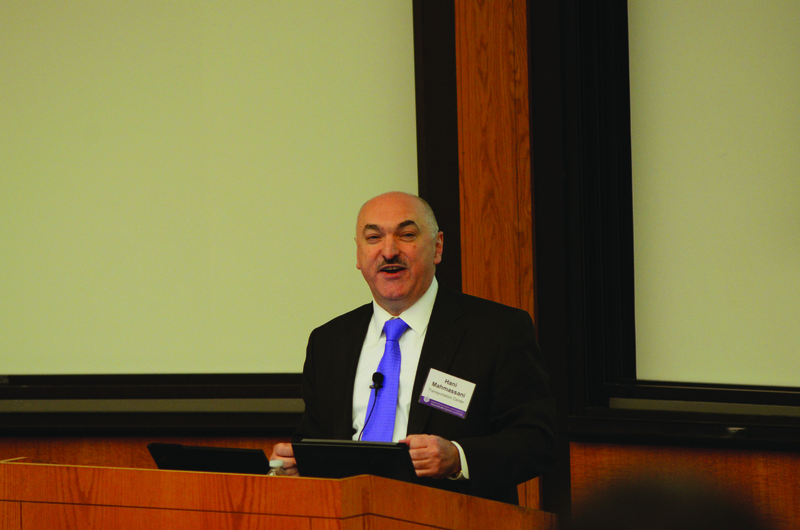 Zahir Balaporia, Director of Intermodal Operations, Schneider National, Inc. Dynamic (real-time) Optimization — visibility through supply chain at all times; tracking technologies; reducing inefficiency, exploiting opportunities. People and decisions: big data can enable descriptive, predictive, and prescriptive analytics; the most powerful model sits between our ears; are we improving our mental models? Automated: users shouldn’t have to dig for information relevant to them, it should be displayed and prioritized by relevance. The current scarcity of public charging infrastructure is one of the major barriers to mass household adoption of plug-in electric vehicles (PEVs). Although most PEV drivers can recharge their vehicles at home, the limited driving range of the vehicles restricts their usefulness for long-distance travel. 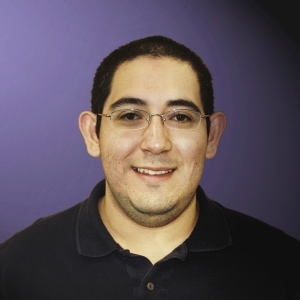 In this research project, Professor Diego Klabjan and PhD student Timothy Sweda developed an agent-based (owner/driver) information system named EVIDENT to identify patterns in residential PEV ownership and driving activities. The system enables a more strategic approach to deployment of new charging infrastructure. Predicting decisions and actions from the driver/owner point of view, this system successfully captures the recharging behaviors of PEV drivers when both public and home charging options are available as well as EV adoption when different vehicle types are available in the market. It has been demonstrated that the availability of public charging infrastructure can indeed affect consumers’ vehicle purchasing decisions and should be considered when modeling infrastructure deployment for alternative fuels. Further investigation into the causes of these adoption patterns will permit more specific recommendations to investors on how best to deploy new charging infra­structure. As a next step, spatial analysis of PEV adoption patterns utilizing demographic and geographic data could be performed to gain insights into the evolution of the residential PEV market. In addition to how many, investors will want to know where new charging stations should be deployed. The deployment strategies will also depend on the investor. For example, an investor seeking to maximize station utilization will tend to place more stations near densely populated or frequently visited areas, whereas another investor interested in expanding public charging access may prefer to target regions that are less busy and not adequately served by the existing charging infra­structure. Understanding how PEV adoption occurs with respect to geography as well as to demographics will prove critical to determining the most effective charging infrastructure deployment strategies. Another research avenue worth pursuing is the development of a framework for optimizing the deployment of charging infrastructure. In its current form, the model takes as input a fixed plan for charging station deployment and does not attempt to make modifications either dynamically or iteratively. A more sophisticated simulation optimization algorithm would enable better decision making by providing deployment recommendations instead of only evaluating given deployments. Given the number of variables and time/cost considera­tions, how do you most efficiently schedule railway track maintenance? Railway industry companies and agencies invest a significant percentage of their annual budgets in maintaining railway tracks. Professor Diego Klabjan and Post Doctoral Fellow, Conrado Borraz-Sánchez, recog­nized this as an optimization problem; and their research required consideration of human resource allocations (gangs), as well as effective logistics for equipment movement and routing around the rail network under time window con­straints. The railway maintenance scheduling task poses a challenge in which the complex optimization seeks to create a combined job assignment-sequencing-timetabling system. 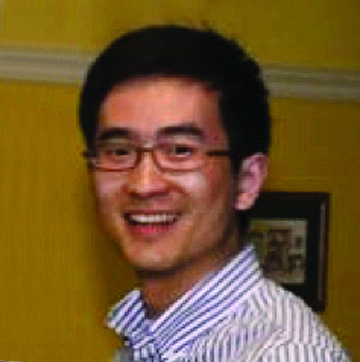 The research team’s work aimed at minimizing total costs incurred by the maintenance projects within a given planning horizon—designing a job-time network model to capture feasible schedules under the constraints of job precedence, and developing a mathematical program­ming heuristic to solve the underlying model. The key ingredient proved to be an iterative process that extracts and then re-inserts jobs based on an integer programming model. Klabjan and Borraz-Sánchez conducted several com­parative analyses to support the capability of the proposed heuristic. The gang scheduling that resulted outperformed by 14% the baseline schedule perfor­mance of the current industry practice. This outcome suggests that it is feasible to significantly reduce the overall maintenance costs for the railway industry. On a practical level, the heuristic proved to be effective and efficient while requiring only about 2.5 CPU-time hours to schedule more than 1,000 maintenance projects with time windows under the constraints of job precedence and robustness rules. What has emerged is a promising new method for railway managers to arrive at favorable gang maintenance schedules. 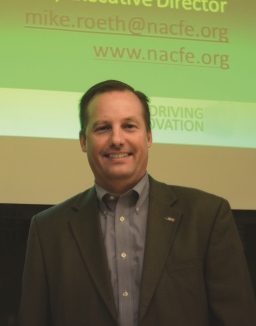 On October 2nd, Michael Roeth, Executive Director of the North American Council for Freight Efficiency (NACFE), spoke at Northwestern at one of CCITT’s Technology Commercialization Speaker Series events. He discussed the findings of a recent NACFE study and their implications for improving trucking operations’ fuel efficiency. Eight of North America’s largest truck­ing fleets, representing 75,000 tractors and 130,000 trailers, participated in what was perhaps the largest fleet fuel efficiency benchmark­ing study. It analyzed the adoption of 60 known technologies and prac­tices available to fleets over the past eight years. Roeth shared fleet experiences in adopting individual technologies, com­pared the rapidity and scale of adoption among the fleets, and offered an array of means through which the industry might improve fuel efficiency. Fleets working with NACFE have increased mpg of large rigs from around five mpg to as much as nine mpg. auxiliary power unit information technology. ensuring that the most recent proven practices and technologies be implemented. Irina Dolinskaya, Assistant Professor of Industrial Engineering and Management Sciences, has been appointed the Junior William A. Patterson Professor in Transportation. 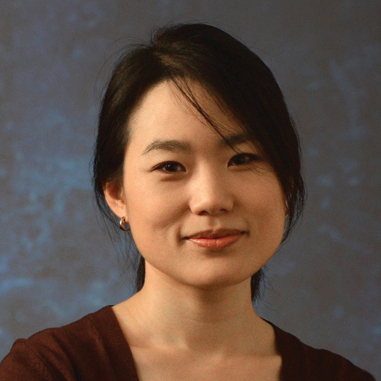 Her areas of expertise include: optimal pathfinding; analysis of dynamic systems and networks; large scale and computationally demanding dynamic programming problems; applications including vessel and robot routing, and autonomous vehicles. Together with Karen Smilowitz, she has spearheaded Nothwestern’s Humanitarian Logistics Initiative. 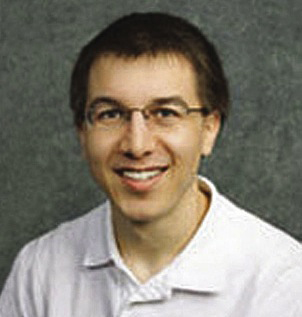 Professor of Industrial Engineering and Management Sciences Diego Klabjan has been named Director of the new Masters Degree program: Master of Science in Analytics (MSiA) within the McCormick School of Engineering and Applied Science. As more businesses have begun looking to big data to study their customer base and optimize processes, the marketplace has experienced an overwhelming demand for analytics experts. McCormick’s MSiA program will provide that expertise, teaching students to identify patterns and trends; interpret and gain insight from vast quantities of data; and communicate their findings in practical, useful terms. “We conceived this program because we recognized that there aren’t enough trained individuals in this rapidly growing field,” said Klabjan. Thirty-two students enrolled in the inaugural class for this unique education in analytics. Charlotte Anne Frei, PhD Candidate in Transportation Systems Analysis and Planning, has been chosen as the recipient of the CCITT 2012 Student of the Year Award for her innovative contributions to a Chicago Transit Authority bus fleet allocation study. She also contributed to the NUTC/FHWA-sponsored 2011 workshop: Travel Behavior Research and Modeling, playing a key role in helping to coordinate the con­ference and in summarizing its recommendations. 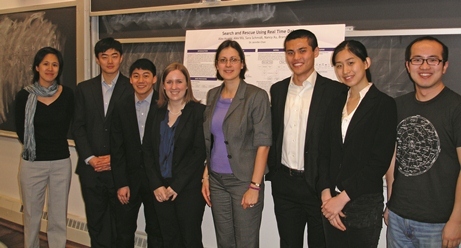 Her research projects focus on public transportation demand and travel behavior. The goal of her thesis work is to model customer satisfaction in order to explicitly account for transit user behavior in design of public transit operating schemes. Charlotte is active in the Chicago chapter of the Women’s Transportation Seminar, where she is currently developing partner­ships and resources to enhance knowledge of trans­portation related careers among high school girls. She is also the co-chair of the Society of Women Engineers graduate student committee, organizing programs to engage female graduate students. In addition, Charlotte Frei received an Eisenhower Transportation Fellowship for 2012–2013.